In an effort to establish standards for cut in the same manner as it has for color and clarity, GIA began issuing reports that included a cut grade for round brilliant diamonds in 2006. This grading system is based on research conducted over the previous decade, which was chronicled in several articles published in Gems & Gemology. GIA had been studying diamond cut for decades, when in 1989 the Institute turned a significant corner. It was at this time that new advances in computer technology allowed GIA researchers to analyze aspects of the visual appearance of round brilliant cut diamonds that once had been impractical and difficult to explore. GIA developed an advanced ray-tracing program to understand how light interacts within a diamond. This helped researchers determine which proportion combinations create a brighter and more fiery appearance. Using advanced computer modeling, we were able to replicate the way light behaves within a round brilliant cut diamond so that we could predict how a diamond would perform with regard to brightness and fire. To study these two aspects of face-up appearance, we analyzed tens of thousands of proportion sets which included: table size, crown angle, pavilion angle, star length, lower-half length, girdle thickness, culet size, and total depth. We also studied the effects of polish and symmetry on appearance. We found that all of these parameters were interrelated in their effects on light performance, and contrary to some traditional thinking in the trade, that no single proportion, or subset of proportions, could be considered alone in judging diamond appearance. We found that there was a wide range of proportions that had the potential for high quality light performance. We wanted to answer two important questions: First, to what degree do changes in proportion values create distinctions in appearance that can be seen by an observer? And second, which proportion sets produce results that are deemed attractive or unattractive by most observers? With extensive observations and research, we were able to answer these questions, and more. The GIA Diamond Cut Grading System for round brilliant cut diamonds is a predictive system that is grounded in science and research. 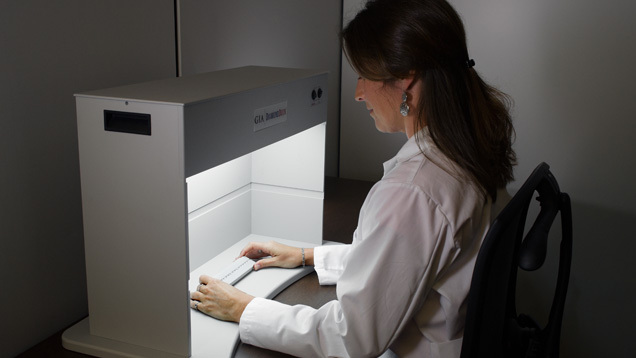 In an effort to validate the calculated values for brightness and fire, as well as analyze other components that contribute to a round brilliant's overall cut appearance and quality (such as scintillation, design, and craftsmanship), GIA embarked on an extensive journey of observation testing using a standardized lighting environment. Over 70,000 observations were made on more than 2,300 diamonds using observers from all sectors of the jewelry industry: diamond manufacturers, dealers, retailers, and jewelry consumers. This undertaking was, without a doubt, the largest study of this type ever conducted. 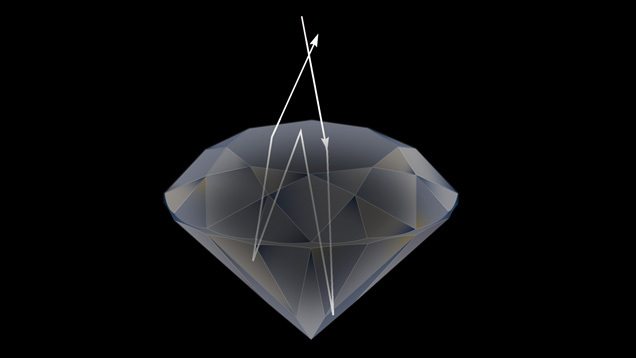 Observing real diamonds provided critical insight as to how the contrasting pattern of light and dark areas contributes to an attractive diamond. We were able to validate our computer modeling for brightness and fire. This included refining our metrics so that the results represented the brightness and fire seen in actual diamonds when they were observed in standard lighting and viewing conditions. We were able to analyze and eventually predict other components of face-up appearance, such as scintillation, as well as aspects of cut quality such as design and craftsmanship. We were able to determine how much variation in any one component (for example, levels of brightness) observers could see consistently in actual diamonds, and how many overall cut grade categories people could consistently discern. The value of these results was immeasurable — they allowed us to transform our scientific models into a practical system that could be used in the day-to-day world of the diamond industry. We discovered that personal and regional preferences in appearance were an inherent part of a truly functional cut grading system. Although we confirmed that most observers could discern five overall grade categories for diamond cut quality, personal and/or regional tastes often dictated which diamond was finally preferred within each of those categories. This underscores the fact that there can be many different, yet equally pleasing, appearances within a grade category. Perhaps most importantly, extensive observation testing and trade interaction allowed GIA to create a diamond cut grading system that was predictive. That is, it assured us that when the complete set of proportion and parameter information is input into the system to obtain a cut grade, that grade is consistent with the grade that would have been provided by a large majority of observers. It is this predictive nature of the cut system that allowed GIA to create a cut database that contains cut grading results for over 38.5 million proportion combinations. Thousands of diamonds were observed in a standardized lighting environment during the development of the GIA Diamond Cut Grading System. Through computer modeling, observation testing, and trade interaction, we confirmed that to be attractive, a diamond should be bright, fiery, sparkling, and have a pleasing overall appearance, especially when the pattern of bright and dark areas is viewed face up. In the same manner, GIA recognized that more than just face-up attractiveness should be incorporated into the assessment of overall cut quality. Quality in design and craftsmanship (as evidenced by a diamond's weight ratio, durability, polish, and symmetry), even when face-up appearance is barely affected, should be considered in a diamond's final cut grade. 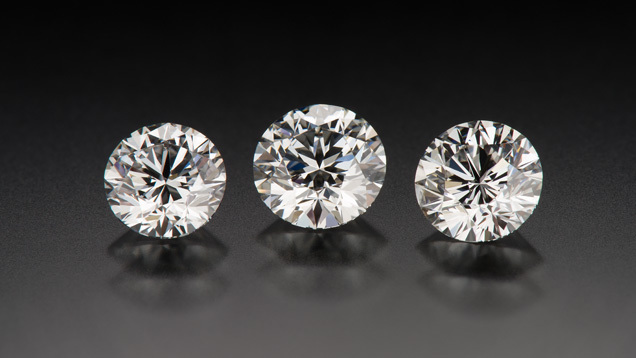 Many beautiful older diamonds are cut to different proportions than modern round brilliants, which makes them a challenge to grade according to modern cut conventions. This article describes how GIA accommodates these historic gems. 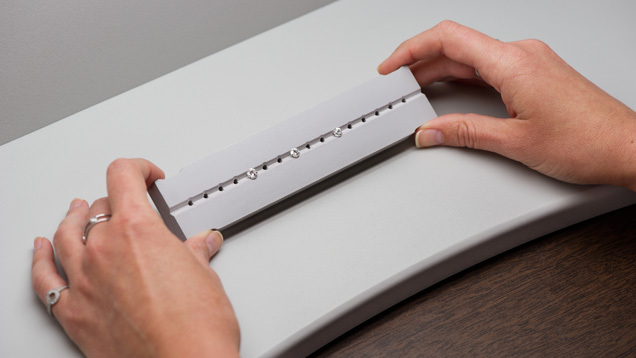 Learn the basics of the GIA Cut Grading System to help pick out the diamond that wows you. You’ve heard about the 4Cs of diamond quality (color, clarity, cut, carat weight). But how did they become so well-known? Here’s a little diamond history. Follow these tips to pick out the perfect engagement ring for the love of your life. Jewelers and gemologists use a specific set of terms to describe parts of a polished diamond. Certain measurements of the shape or proportions ultimately have an affect on the round brilliant diamond’s cut grade. Certain measurements of the shape or proportions ultimately have an affect on the round brilliant diamond’s cut grade.